The statement necklace is this season's must-have accessory and our new best friend. A crafty string of jewels is an easy way to update your look without splashing the cash on a whole new outfit. We can style them up with just about everything: plain tees, blouses, collared shirts - you name it. Perfect for glamming up a relaxed weekend outift or for keeping in the office draw for those post-work parties and occasions. 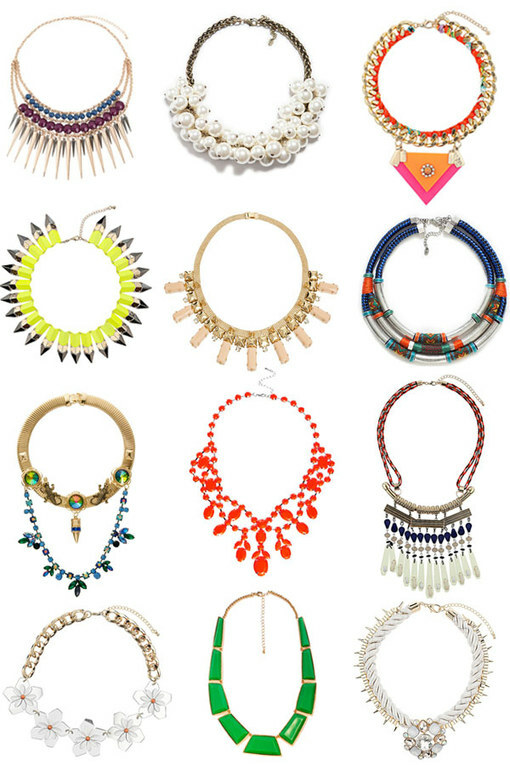 We've got a dazzling edit of statement necklaces and collars to inspire your jewellery box collection!